This isn’t a twilight zone reference but these athletes are definitely other worldly. Over the last century there have been a number of athletes who have played multiple sports professionally. It is hard enough to rise to the pinnacle of one sport yet some are able to transcend multiple sports. Jim Thorpe is probably the greatest example of this in history. Of American Indian and European descent, he won Olympic gold medals for the pentathlon and decathlon, played American football (collegiate and professional), and also played professional baseball and basketball. I don’t think anyone has come close to that since. In Australia and New Zealand, Anthony Mundine, SBW and Brad Thorn are head and shoulders above the rest in recent times. Ricky Stuart was fairly handy. So were Jeff Wilson, Wendell Sailor, Lote Tuqiri, Michael O’Connor and Mat Rogers. Garrick Morgan didn’t do so well in Rugby League despite being a giant in Rugby Union. Israel Folau couldn’t replicate his Rugby League prowess in Aussie Rules but is predictably playing better in Rugby Union. Greg Inglis is a pure athlete and could probably play a number of sports professionally. Blessed with incredible acceleration, speed, elusiveness, strength in the air and superior ball skills, Inglis would be a natural fit in Aussie Rules. Now I’m sure Aussie Rules fans are pretty sceptical after Israel Folau and Karmichael Hunt but Greg Inglis could definitely make the leap. Aussie Rules would have the money to pay him as well. He would also be very useful in the promotion of the game in Queensland and NSW. We’re going to do a straight swap here. Greg Inglis can play for the Swans and Buddy is going to move over to the Bunnies. Think of all that upper body strength. Buddy would thrive on the right or left edge ala SBW. He is a big match player that would suit the theatre of the NRL. The Roosters should be lining him up to replace SBW at the end of the year. If you saw the first two seasons of Australia’s Greatest Athlete you will know that Billy Slater is awesome at practically everything. I will never forget him virtually sprinting up a rock climbing wall in some miniscule amount of time. If he decided to hang up the boots a year or two early I’m sure that he could make it as a Tri-athlete. He seems perfectly cut out for it. I’m bracing myself for lots of comments about how Billy would sink like a stone in water. 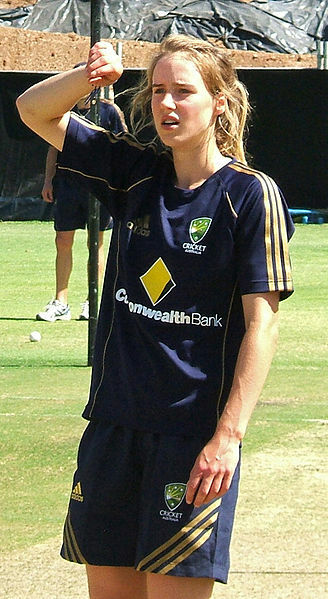 Ellyse Perry is already a multi-sport athlete in Soccer and Cricket. Consequently, I’m putting her in this list because I’m sure if she had the time she could dominate a third. Maybe Mat Toomua can introduce her to rugby? Lightning fast and very tall. Am I missing something here or would this man be the perfect wide receiver? All the NFL commentators generally acknowledge that the game is much safer for wide receivers after relatively recent rule changes. Wide receivers who cross the middle of the field no longer take their lives into their own hands. Probably should just check that he can memorise millions of plays and catch a football and then we will be good to go. He’ll need to develop his trash talking as well. Gary Ablett Junior has the kind of motor that most people dream about. He has endless energy and the ability to make plays in traffic together with sublime kicking skills. These skills would easily equate to the midfield in Soccer. I can see him beside Tim Cahill in the green and gold. It’s not too late Gary. Make the switch. When David Warner hits a cricket ball invariably it stays hit. His cross bat shots are very reminiscent of baseball. Now I’m not for a second suggesting that he throw in his Cricket Australia contract, forgo all IPL proceeds and languish in Single A ball for the Savannah Sand Gnats (yes that is a real team) but all things being equal if you gave him spring training to acclimatise I reckon the man could make the transition. He could certainly play Designated Hitter in the American League though if he had some orientation with a glove he may be able to convert into a defensive position as well. Who do you think could cross over to the other side? Who are the greatest multi-sport athletes? Stay tuned for the next exciting episode on Thursday, 6 March 2014 titled ‘Season preview for the NRL’. 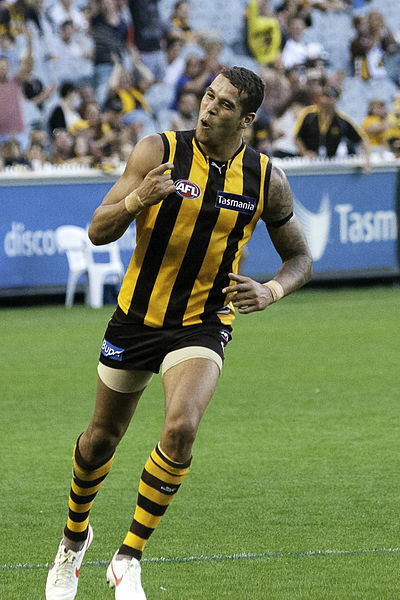 This entry was tagged American Football, Athletics, Australia, Australian Rules, Baseball, Buddy Franklin, Cricket, Football, General Sports, Greg Inglis, Israel Folau, New Zealand, Rugby League, Rugby Union, Soccer, Triathlon. Bookmark the permalink.